Red rose with white eyeball. 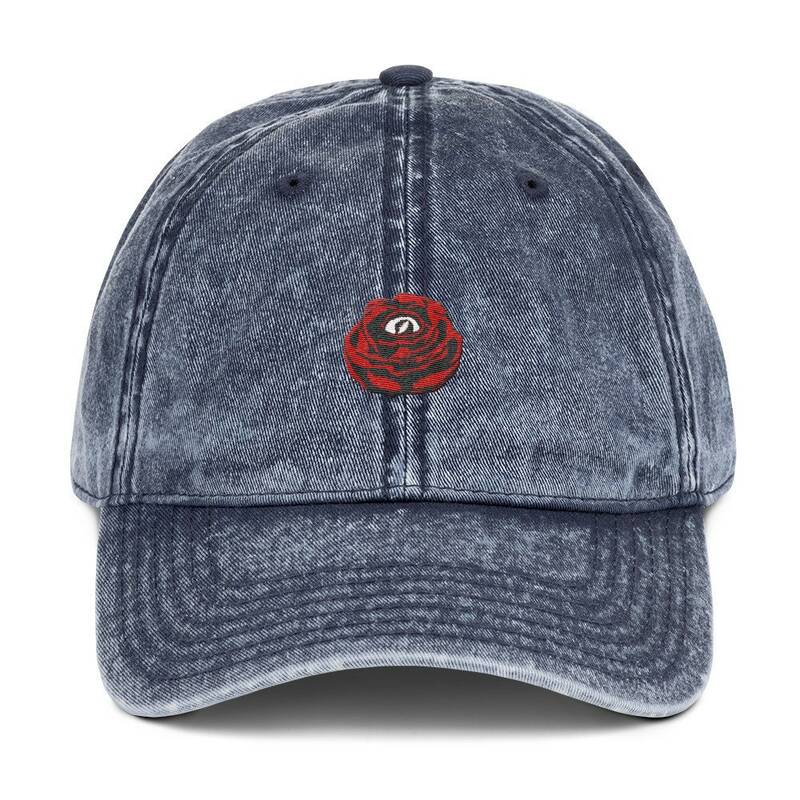 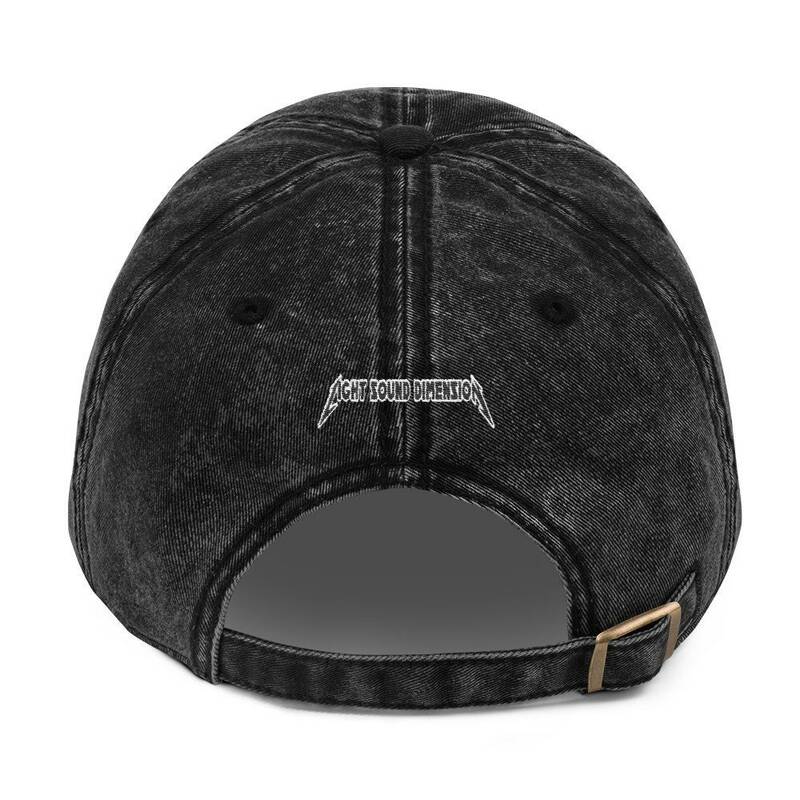 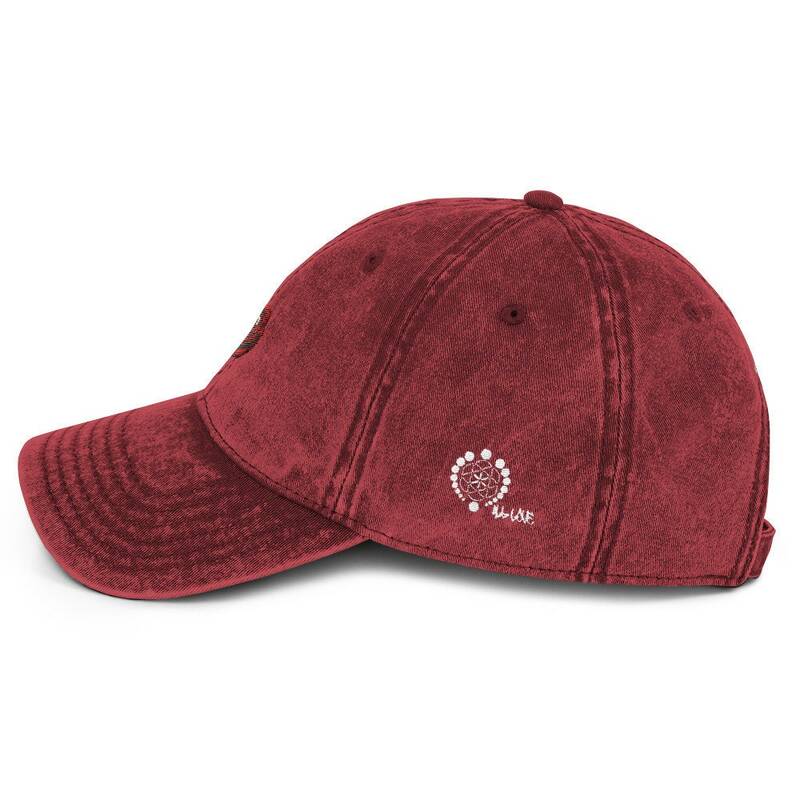 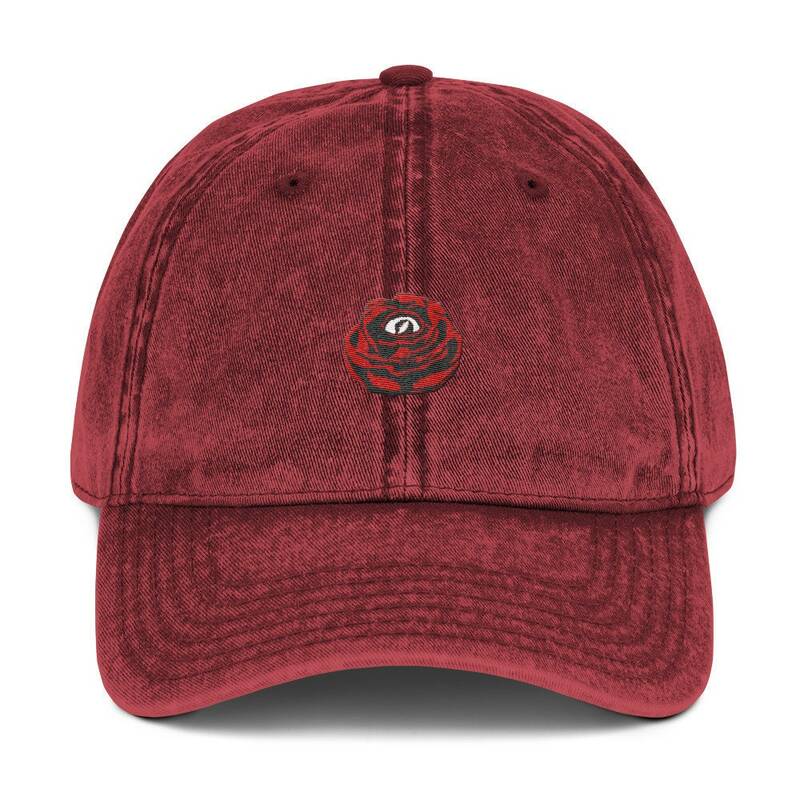 Embroidered on an unstructured 6-panel low-profile hat made of 100% cotton twill with 6 sewn eyelets and a black sweatband. Adjustable antique brass-finish snap buckle & washed-out vintage feel.